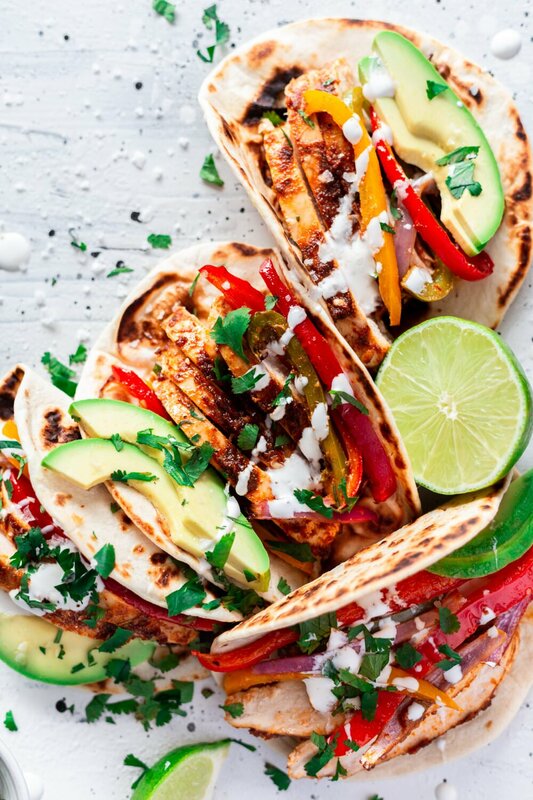 Indulge in Mediterranean flavors when you bite into these Harissa Chicken Tacos with Spiced Yogurt Sauce. 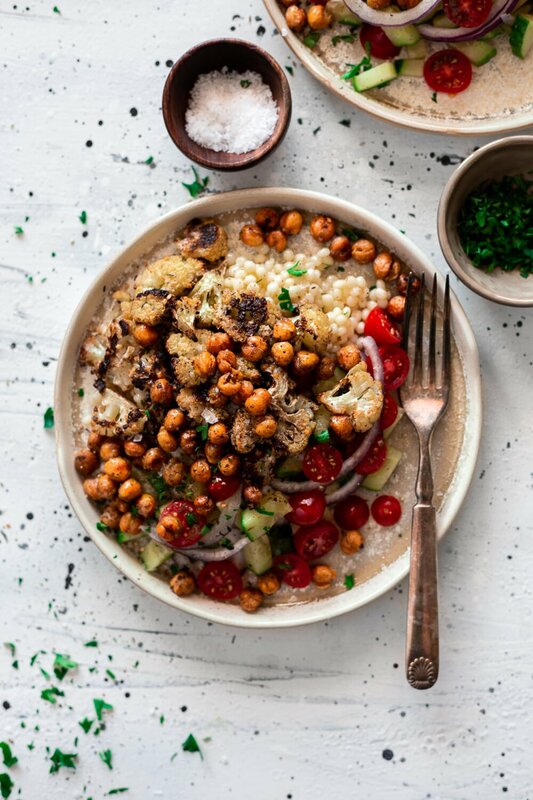 With grilled peaches, onions, romaine and feta, this Moroccan chicken recipe brings an earthy heat and subtle sweetness that tickles the tastebuds and will leave you craving harissa every day. 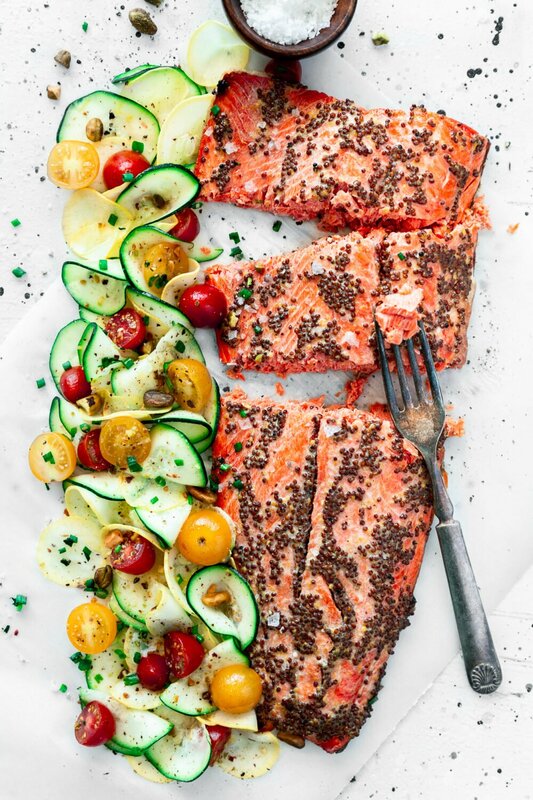 Follow the tips below to prepare this meal in under 30 minutes on the grill, for an exotic meal that the whole family will love and ask for every week. 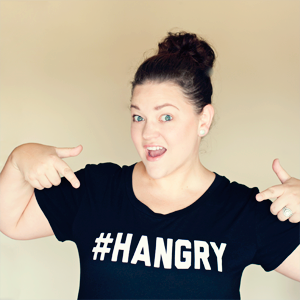 I am really loving bringing you a weekly dose of taco goodness. I hope you’re loving it too. They are my favorite thing on the planet because of how easy and customizable they can be. You literally can’t go wrong with a taco. So please, sing with me now: taco, taco maaaaaaaaaaaan, I want to be a taco maaaaaaaan! 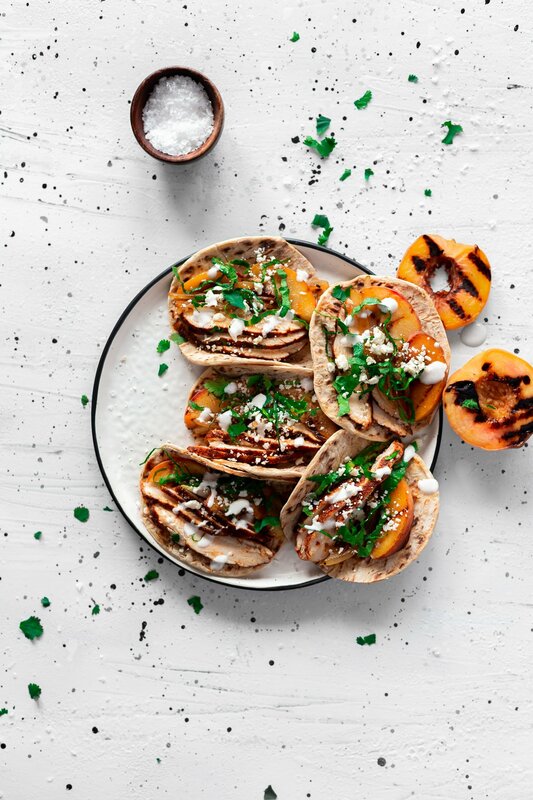 The grilled peaches are pivotal to this recipe. Not simply because they are fruit and I defy the standards of savory cuisine (I promise, fruits belong in savory meals too! ), but their tangy sweetness is the perfect pair to the earthy spiciness of the harissa chicken. 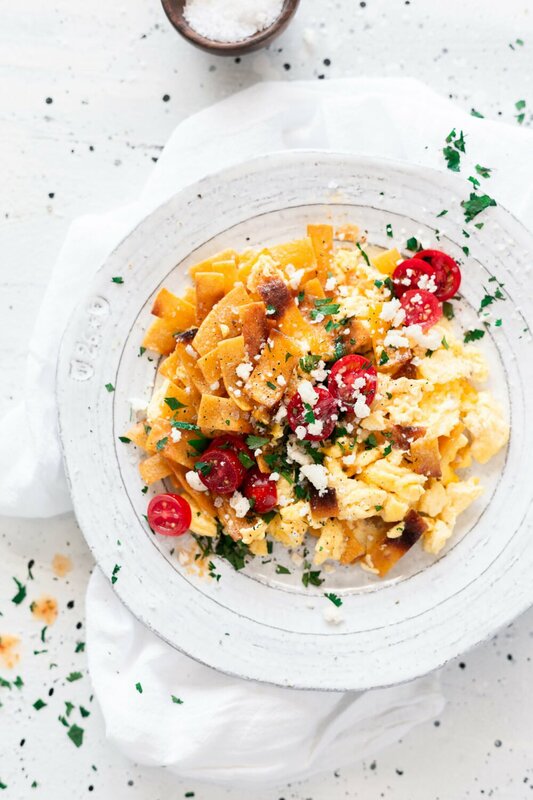 It’s all about balance, and this recipe has it in spades. 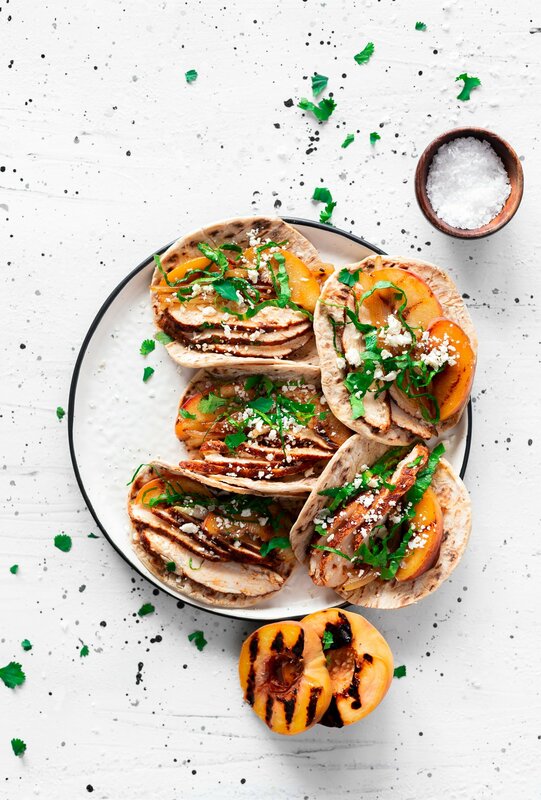 You don’t even have to grill the peaches, but I enjoy doing it while the cooked chicken rests, so that the juiciness of the fruit increases, and it also picks up some remnants of the flavor from the chicken. Honestly, the water is optional, but depending on how thick your Greek yogurt is, a little water helps thin it out so you can drizzle it easier. Who doesn’t love a good drizzle?! 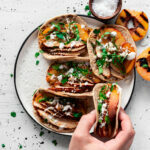 Break out the grill and get ready to sizzle when you whip up this simple Moroccan chicken recipe with spicy harissa and sweet grilled peaches. 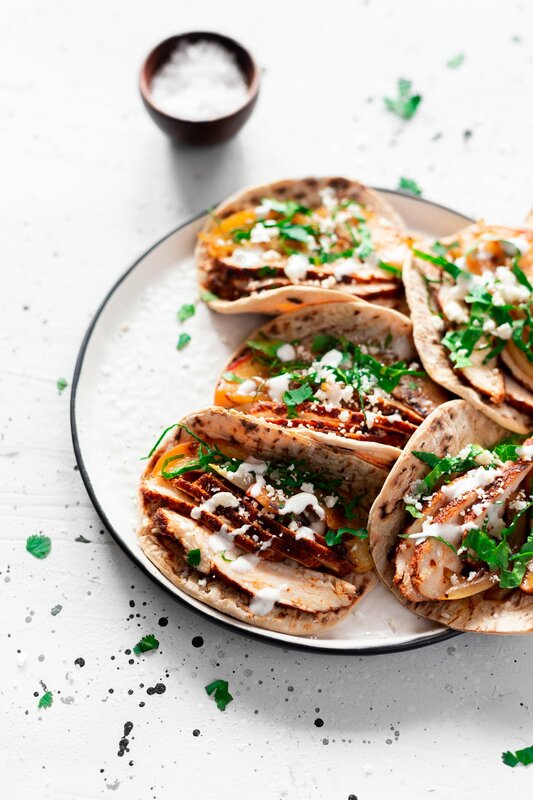 Topped with lightly caramelized grilled onions, romaine lettuce, salty feta cheese and a hearty drizzle of spiced yogurt sauce, these exotic harissa chicken tacos will the best new addition to your Taco Tuesday arsenal! 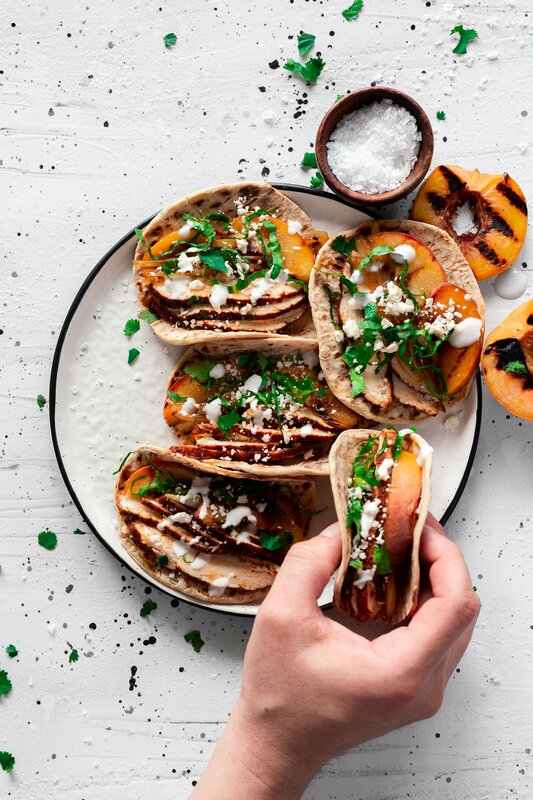 Explore the exotic flavors of the Mediterranean with these super simple Harissa Chicken Tacos, complete with juicy, grilled peaches, onions, feta, and a lightly spiced yogurt sauce. 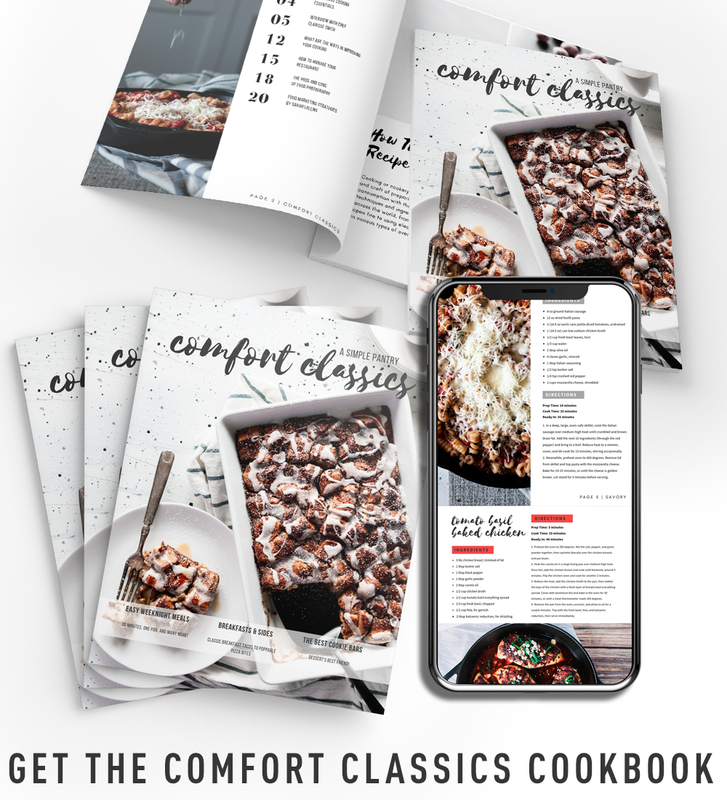 Ready in 30 minutes, dinner is served! Prepare a grill to medium-high heat and brush grates with oil. In a small bowl, add all the spices and carefully whisk to thoroughly combine. Place chicken breasts between sheets of plastic wrap and pound with a meat mallet until even in thickness. 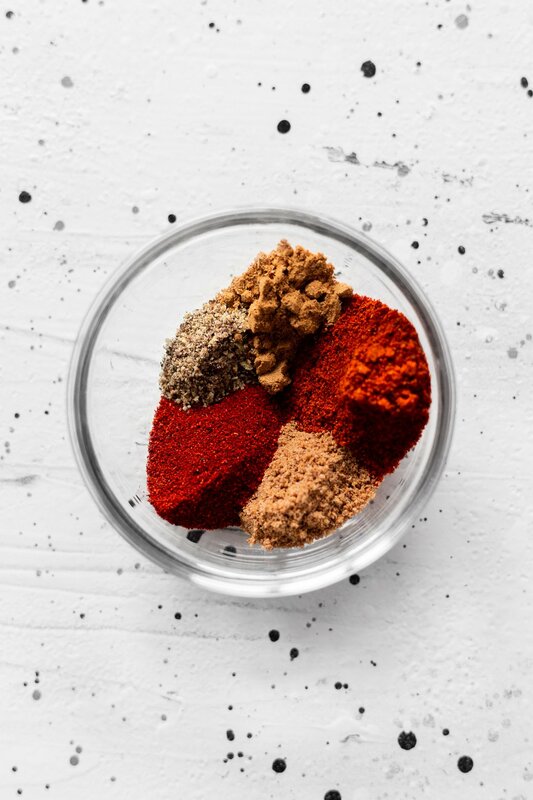 Coat chicken with a thick layer of the harissa seasoning mix, then place on the grill, evenly spaced, and cook for 4 minutes per side, or until a meat thermometer registers 165 degrees. Remove from the grill, wrap in foil, and let rest. While the chicken rests, place the onions and peaches on the grill and let cook until they lightly caramelize, around 5-10 minutes. 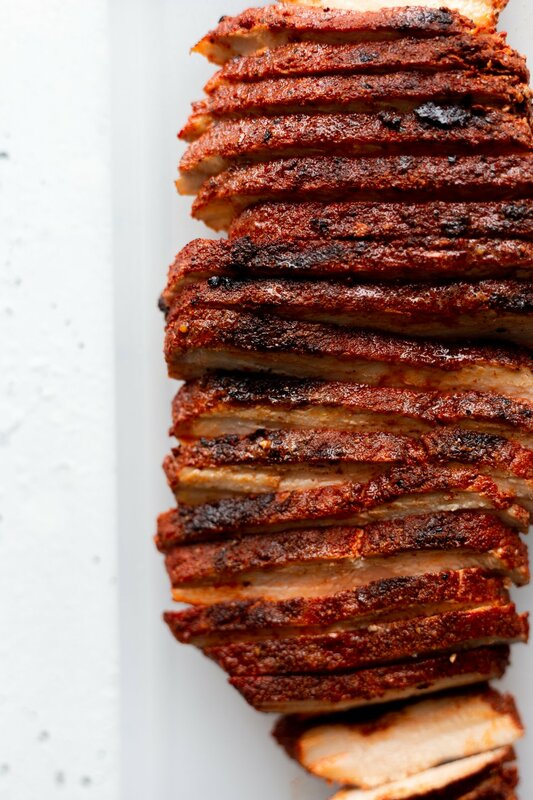 Remove from grill and slice into thin strips. In a small bowl, combine the yogurt, cumin, cinnamon, and pinch of salt. Slowly stir in water, 1 teaspoon at a time, until yogurt can be drizzled. Adjust seasoning as needed and set aside. To prepare the tacos, slice the chicken into thin strips and distribute between the 12 torn naan flatbreads. Add a few slices of peaches and onion, then sprinkle with romaine lettuce and feta cheese. Drizzle with yogurt sauce and enjoy! What a combination of flavours! 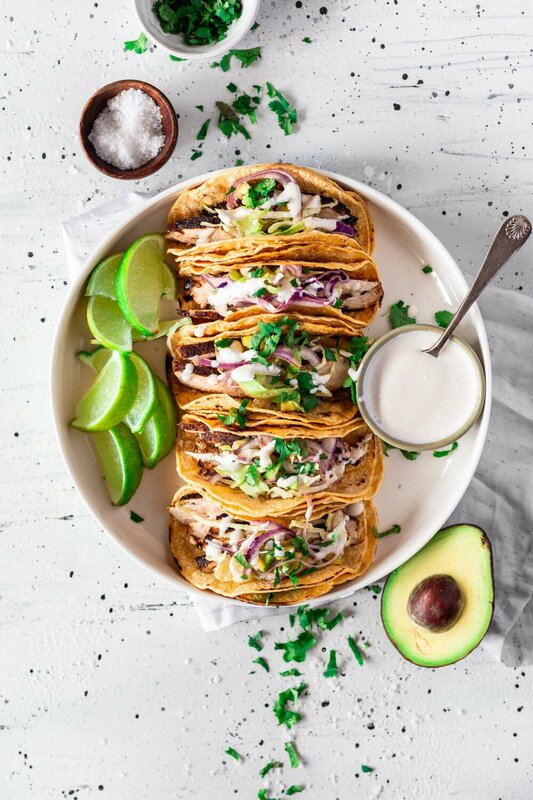 Definitely add to my Tuesday Taco Arena :D Thank you for the fantastic recipe!